A few weeks ago I blogged about how I was trying to eat a little healthier, and probably one of the best things I learnt from the campaign I took part in, was to eat a good healthy breakfast. Before I started trying to eat better, my breakfasts were terrible. On days I’d be at work I’m usually in a rush so I’d just grab a couple of cereal bars and a yogurt, or eat a slice of toast in the car, not really the best way to start the day! 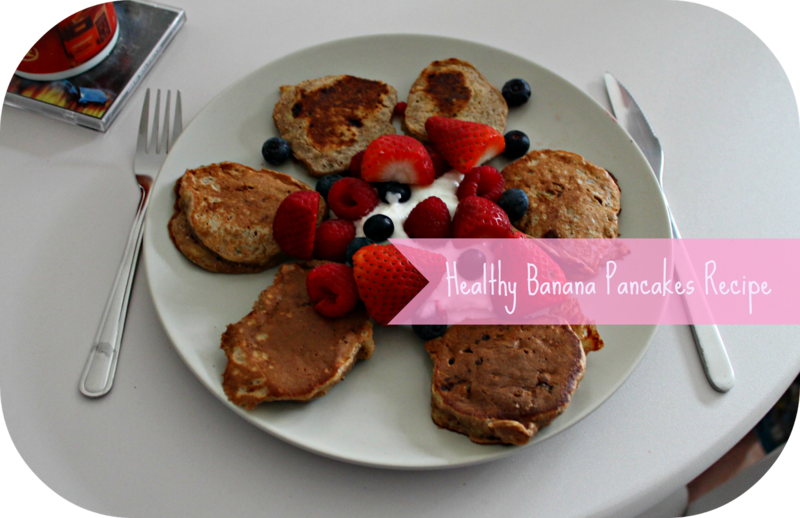 So recently I’ve been making sure I have time for a good decent breakfast, and one thing I love to make at the weekend when I have more time is banana pancakes. 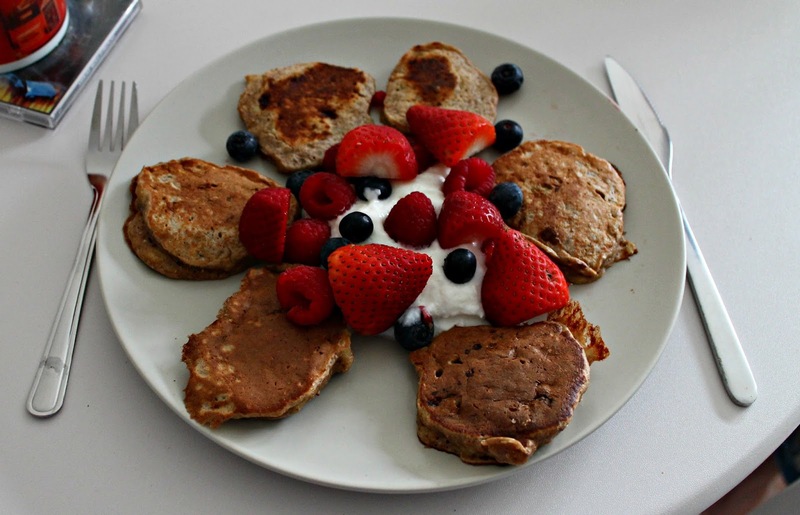 I’ve seen lots of variations of how to make healthy pancakes on the internet before, and after a little bit of playing around with different recipes, I found one that works quite well. 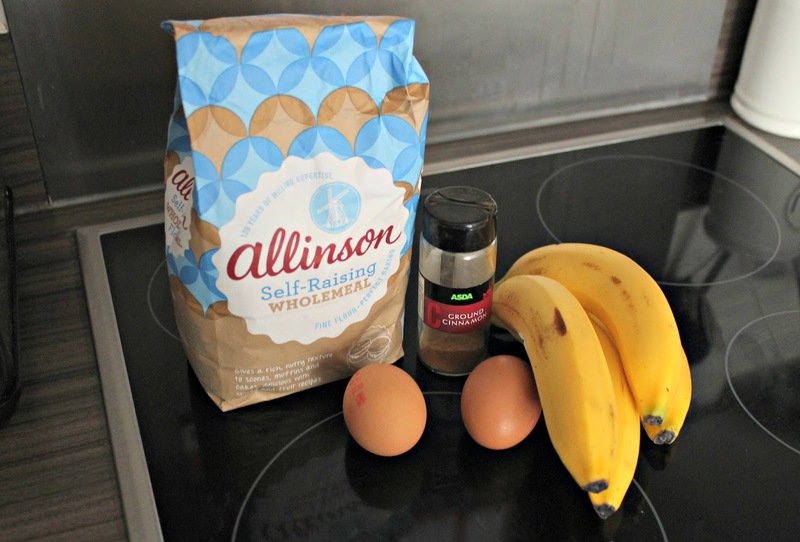 For my pancakes I like to keep them simple and use three bananas, two eggs, cinnamon, and 25g of wholemeal flour. 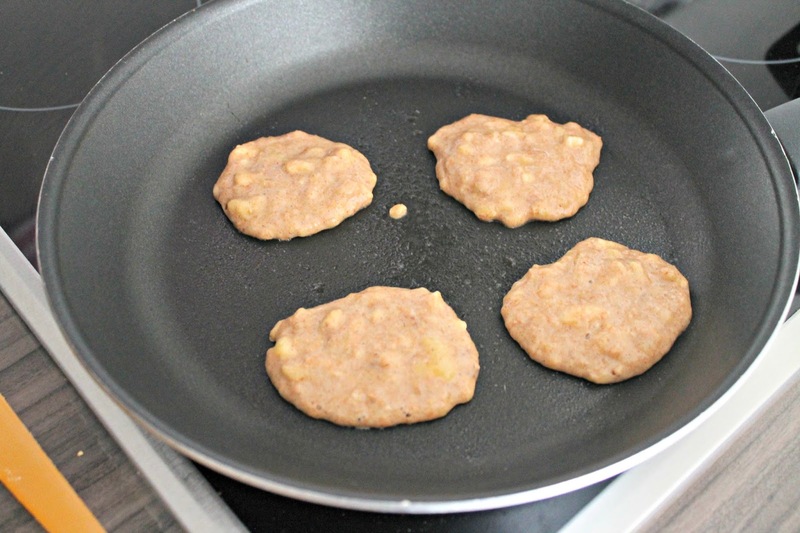 There’s not much to the recipe either, I just mash the bananas, and then mix in the eggs, cinnamon and flour. Once it’s all been mixed together I just put a spoonful of it per pancake onto a hot frying pan. Then I just leave each pancake for a few minutes until one side is cooked, and then flip them over and leave them a few more minutes, and then repeat until you’ve ran out of mixture. Once I’ve finished cooking my pancakes I like to serve them with fat free fromaige frais and lots of fruit. This has become a bit of a weekend staple breakfast in my house these days, and they are pretty delicious! Do you like pancakes for breakfast? Will you be trying out this recipe?